Fantasy Flight Games’ Warhammer Quest: The Adventure Card Game is a brand new version of the ageless classic Warhammer Quest. Both games are set in the Old World and feature a group of heroes going into a dungeon to fight a bunch of monsters with quite high odds of them all dying. The original game had miniatures and cardboard rooms but this brand new version only has what FFG is famous of doing: cards, more cards, custom dice and counters. And naturally one of the most disordered rulebook there is. When this new version of the Warhammer Quest was announced I could not help but to feel a kind of déjà vu. Fantasy Flight Games taking an old classic and turning it into a whole different beast with a boatload of counters on top? Yes – they did that with the Warhammer Fantasy Roleplay. Since I have always liked the approach WFRP 3rd edition had (even though I know a lot of players really disliked it) I was immediately sold on this new approach too. I have nothing against painting miniatures and playing with them (far from it) but if someone is doing a reboot they should at least consider about making it a bit different than the last time (I’m looking at you Film Industry). Otherwise why would I even by the remake? But since a very few people are interested in the story about “how I bought this new game” I’ll get straight into the juice stuff. Trying out Warhammer Quest: the Adventure Card Game! 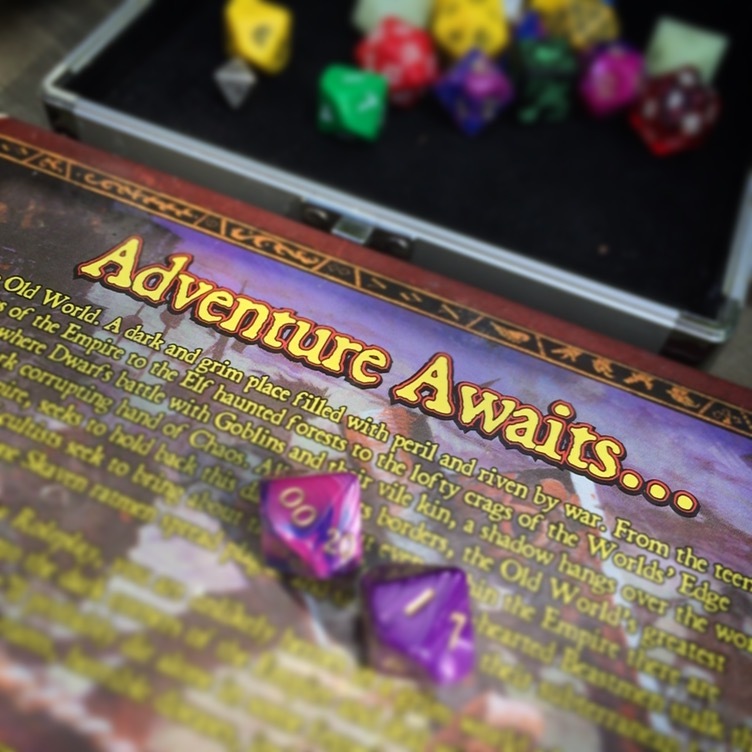 Last Wednesday we started a campaign that I would have never dreamed that would actually happen – we’ll return to the world of Warhammer Fantasy Roleplaying game. Once upon a time at 2006 we started a campaign using the second edition of the said rpg and from that gaming group grew our current community of almost 50 active members. The GM for this new campaign will be one of the players of that original group; Santtu has been planing for this campaign for almost all of this time and I’ve been eagerly waiting for it. I think that the character I created last week might actually be third one created for this particular game. Not to hex it or anything but we are supposed to get the game going on this Friday. Why should this all be of any interest to others? As it turns out getting together with “old love” might be as problematic in roleplaying games than in real life.